Foodzie is Etsy for Food! 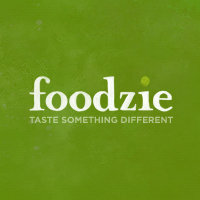 My friend, Anne, just told me about Foodzie, the Etsy of food! A place where small producers can sell their products online. At first glance, it looks amazing – although a few things seem to be more appropriate for the Regretsy of food (does such a site even exist?). Have any of you bought anything on Foodzie? If so, I would love to hear about it. In the meantime, I am browsing the cheeses and will let you know what I select. This entry was posted on October 11, 2010, 2:29 pm and is filed under inspiration, kitchen. You can follow any responses to this entry through RSS 2.0. You can leave a response, or trackback from your own site.